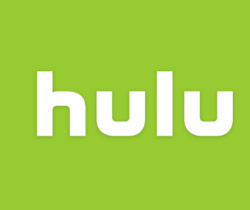 With millions of paying subscribers in the United States, Hulu is one of the leading video streaming services. The company is battling with other services to license the best content, and as part of this quest it uses piracy data to see what is popular among potential viewers. When major movie and TV companies discuss piracy they often mention the massive losses incurred as a result of unauthorized downloads and streams. However, this unofficial market also offers a valuable pool of publicly available data on the media consumption habits of a relatively young generation. Many believe that piracy is in part a market signal showing rightsholders what consumers want. This makes piracy statistics key business intelligence, which many large companies already actively use. Netflix, for example, uses piracy to figure out how much they can charge in a country, as well as what content they license. They are not alone. A few days ago we learned that Hulu does the same. Hulu’s head of content acquisitions Lisa Holme told Business Insider that piracy data is an important factor in deciding what content the company licenses. Pirates can show what TV-shows or movies people are interested in and if they go through the ‘trouble’ of downloading something illegally, it is bound to do well on legitimate platforms as well. According to Holme, piracy effectively tells Hulu how committed people are to a show. “They are passionate enough about it to break the law,” she says, adding that many would pay to stream content if there’s an easy way. Piracy tracking and intelligence firm MUSO is one of the players that offers this type of data to copyright holders. While they don’t work with Hulu, the company says that it’s more common nowadays to use piracy as input. “Piracy data analytics really are a window into the size of global piracy audiences, as well as their behavior around piracy. If you put that data together with regional focus, piracy suddenly isn’t black and white, but has multiple shades,” MUSO’s Chief Commercial Officer Christopher Elkins says. This type of data can often reveal important geographical trends. And aside from using in for anti-piracy means, the same analytics can be used to make content acquisition decisions. Ultimately, this should be a win-win for all parties involved. Media companies and copyright holders have a better grip on their audience, and pirates get more legal options of their liking. TorrentFreak reached out to Hulu for some additional insights about their use of piracy data, but unfortunately the company did not reply. Piracy can come in handy at times, but talking about it apparently still isn’t always convenient.